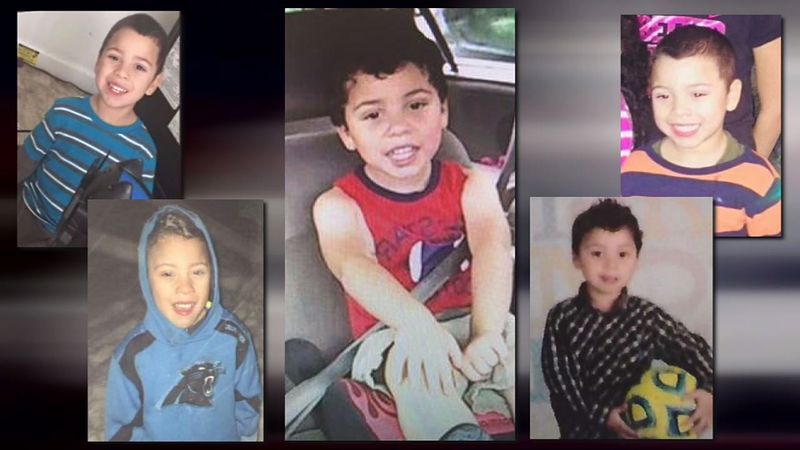 LAURINBURG, NC (KFSN) -- Investigators believe that a body found in a pond off Pea bridge Road is that of missing 4-year-old Raul Gonzalez Johnson. An Amber Alert was issued Wednesday for Raul Gonzelez Johnson after he was last seen by his grandfather on Village Drive. Authorities said the boy was traveling on foot toward Crestline Road in Laurinburg. Missing boy Raul Gonzalez. Authorities initially gave his name as Raul Johnson. "The Scotland County Sheriff's Office is using every resource available for this little boy," Sheriff Ralph Kersey said at a Friday afternoon news briefing. More than a dozen ground search teams combed the area Friday, and authorities are working to drain a pond near the area where Raul was last seen. Jason Kaplan, a supervisory special agent with the FBI, said: "we've deployed assets from all over North Carolina and from the FBI headquarters to include our Child Abduction Rapid Deployment Team." In total, more than 40 law enforcement, fire, search, and rescue, and volunteer agencies - including a Wake County Sheriff's Office K9, Fayetteville Police Department, Fayetteville Dive Team. and the Cumberland County Dive Team - are helping in the search for Raul. Kaplan said information about Raul's case has been posted on the FBI's website. "I want to thank our partners and the community for the tremendous outpouring of support," Kersey said. "We greatly appreciate the thoughts and prayers for this little boy. Everyone has one goal to find Raul and bring him home safe." On Friday, the North Carolina State Highway Patrol conducted a roadblock canvass in the neighborhood to talk to drivers. Authorities asked that anyone who lives or works near the area and has surveillance cameras to please check them to see if there is anything unusual that you should share with law enforcement. On Thursday, the Scotland County sheriff said the search shifted from strictly a search or recovery to an "investigative side." "We're in the process of setting up all that we need at different locations so that we can work this from an investigative side," Kersey said. Authorities are still unsure whether the boy was abducted or if he wandered away. If you have any information concerning this case, please contact the FBI's Charlotte Field Office at (704) 672-6100, or the Scotland County Sheriff's Office at (910) 405-9940 or call 911 or *HP.